The Business Bakery provides information and education for small business owners. 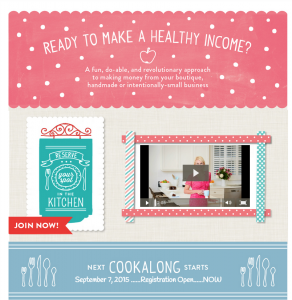 The Healthy Income Program is a membership program for intentionally small business owners. 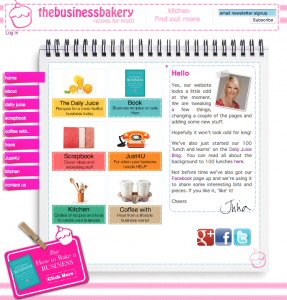 Julia Bickerstaff from the Business Bakery asked us to work with her to refresh her website and to create a membership platform for her to deliver The Healthy Income program for small businesses. Julia was very clear about how she wanted to deliver her programs globally online and she had all of the content for the programs developed. What she needed was help working out how to deliver the content efficiently and in a way that was very user-friendly for the program participants. We engaged a developer who specialises in membership programs and worked with him to build a membership site on WordPress integrated with sophisticated back-end software which handles multi-currency payment, affiliates and membership content delivery. The overall look and feel of the website and the membership site was important to Julia because she wanted it to appeal to her market and to be easy for her customers to use. 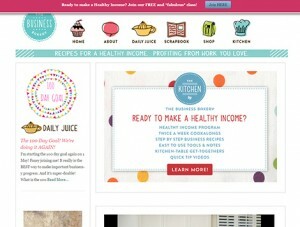 We worked closely with Julia’s designer to make sure that the site design was just right. The website is very popular and because lots of participants would need to access the membership content at once, we made sure that The Business Bakery and the Kitchen membership sites have very good hosting and maintenance so that participants have a good user experience.